'Spider-Man/Deadpool Vol. 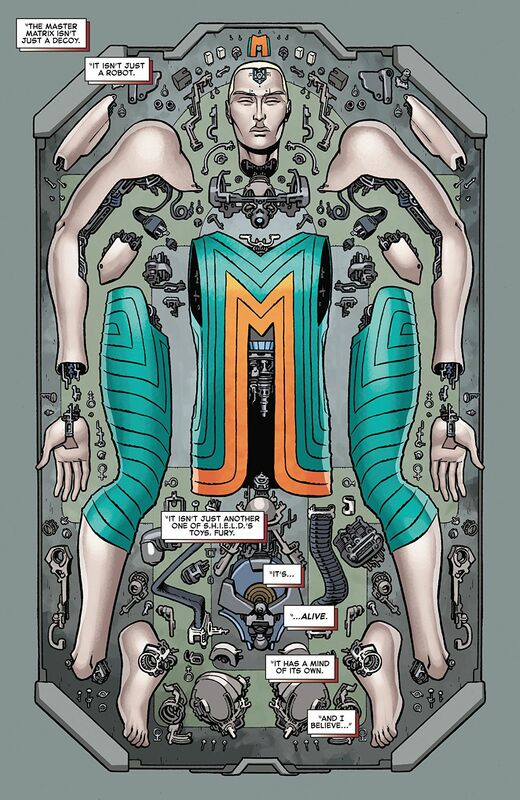 6: WLMD' review: Break the fourth wall with this hilarious book – AiPT! Flash forward in time and then come back again for this entertaining and funny story. I’m going to be honest. 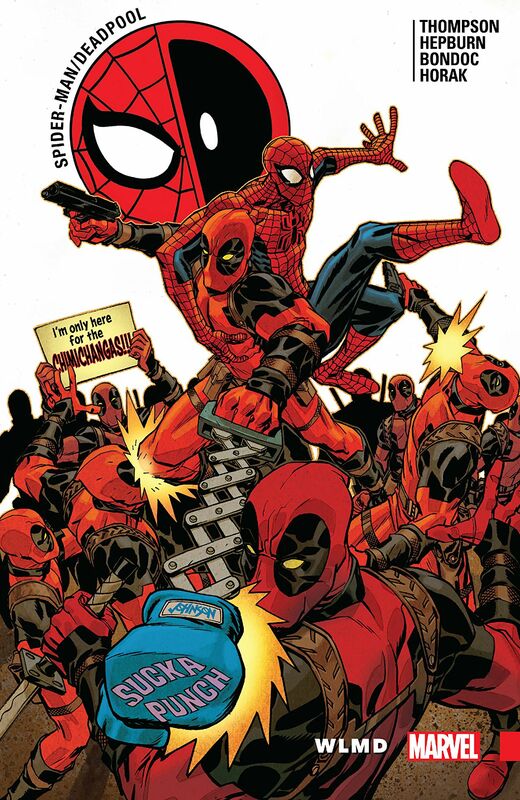 When I saw Marvel hyping an old Deadpool teaming up with an old Spider-Man I thought it was a cash grab. Then I saw how well written and poignant Robbie Thompson wrote these stories and I thought I’d give it a shot. The second part of this series continues in this weeks “WLMD” storyline and it’s better than you can imagine. While Spider-Man has been plagued by Deadpool, they’ve both been plagued by Deadpool doppelgangers. The twin tales of young Peter and Wade investigating Faux-pool and Old Man Parker and Wilson finally merge! ClonePool: Who is he? What is he? Where did he come from? And do two grumpy old heroes stand a chance of righting wrongs committed by their younger selves when also faced with dozens of Doppel-pools? This book collects Spider-Man/Deadpool #29-33, which flashes forward in time to when Deadpool and Spidey are very old and continues to tell a story in the present involving the same heroes as they fight against Chameleon and his growing power over robots of every villain and hero in the MCU. 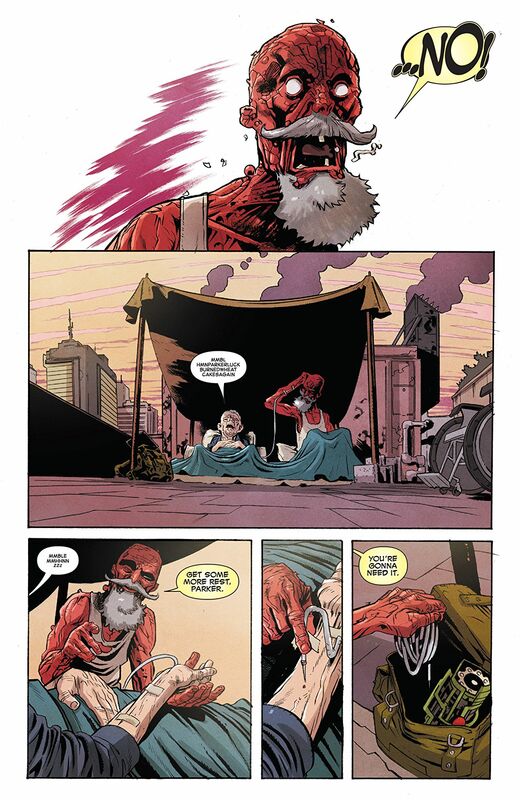 The stakes are very high and are made even higher due to old man Deadpool’s desire to keep his buddy alive. This collection has some of the funniest fourth wall breaking lines I’ve ever read. Thompson not only refers to the Deadpool movies, but also comic panels, pages, and trade paperback collections. There’s even a reference to how many issues have transpired in the series. There are a lot of laughs in this book, mostly thanks to Deadpool’s personality, but there are plenty via Deadpool’s shark compatriots on his team too. It’s a funny book. The flash-forward scenes are surprisingly good too even if they are Elseworlds stories that may be erased by the time the story wraps up (which it doesn’t here). That’s in part because Deadpool truly sees Spidey as a dear friend even if in the present they are at odds. There are also ingenious ideas involved with older versions of these heroes, like how Spidey can cling to walls even in a wheelchair. I’m quite surprised how well the story flows given entire chapters are devoted to the future or the present. It’s in this collection they connect in a meaningful way and this connection continues to add to each storyline. The art team is divided up between Scott Hepburn, Elmo Bondoc, and Matt Horak, and all do a super job with the art. The style of the artwork does change, naturally, but it usually changes at opportune times so it’s not jarring. Old Peter Parker looks photo-realistically old, complete with baggy skin, and there is plenty to love in the “now” scenes, be it visual gags with the sharks or clean looking superhero action. Robots are a big part of this story. If I went into this collection blind I’d be a bit lost. The old characters aren’t explained for newbies and I recommend picking up the previous collection. My main gripe with the last volume was the old hero timeline, which is proof enough since it’s not until this volume that things start to connect and make sense. This is going to be an amazing read when collected all together. If you were picky you might notice Spider-Man isn’t the funniest character in this book. In fact, he plays more as the straight man when in a room with Deadpool. That came as a surprise since Deadpool is so damn funny in this one. I couldn’t believe how much fun I had with this collection. It not only mixes in a possible future with the present well, but it makes you believe it all matters. It’s also very funny, especially the fourth wall breaking jokes. Give this one a look see if you’ve read the last volume because you won’t want to wait for what comes next. Some of the most fun I've had with these characters in a long time.